The latest NT Department of Justice statistics released for the March quarter for 2011 show offences in Alice Springs against the person (464) were down on the March quarter of 2010 (485) but still higher than in the March quarter of 2009 (420). The largest category, as always, was assault: 371 in March, 2009; 462 in March 2010; 433 in March 2011 (a 6% decrease on the same quarter in the previous year, consistent with the NT-wide decrease). The raw figures are comparable to Darwin’s, a city with roughly three times the population. In fact, in the March quarters of 2010 and 2011 Alice Springs recorded more assaults than Darwin, which had 454 and 355 respectively. Sexual assault figures for Alice were up in this quarter (18) compared to March 2010 (8), but down from 32 in March 2009, which was a high across the nine quarters presented. Total property offences are on the rise: 1058 in March 2009; 1212 in March 2010; 1316 in 2011. The largest category is property damage, with 501 offences in March 2009; 546 in March 2010; 497 in March 2011. House break-ins is the category showing a steep rise: 55 in March 2009; 91 in March 2010; 182 in March 2011. This jump in Alice Springs of 100% on the same quarter in the previous year is in sharp contrast to the NT-wide decrease of 18% in this category. Commercial or other premises break-ins have also risen from 136 in March 2009 to 152 in March 2011, up from the 123 of March 2010. In the March quarter for 2011 Alice had more break-ins in both categories than Darwin, which had 144 (house) and 134 (other) respectively. The longer-term picture is depressing for Alice, except that most serious categories of murder and manslaughter show a decrease of 33% (-3) and 100% (-4) respectively, comparing the 12 months to the end of March 2011 to the 12 months to the end of March 2006. However, with six murders recorded for the 12 months to March 2011, the category was up by 200% (4) on the previous 12 month period. The longer-term change for assault was 43%; house break-ins, 129%; commercial and other premises break-ins, 86%. The biggest rise was in robbery, up by 256% (32 in the last 12 months, compared to 9 six years ago). 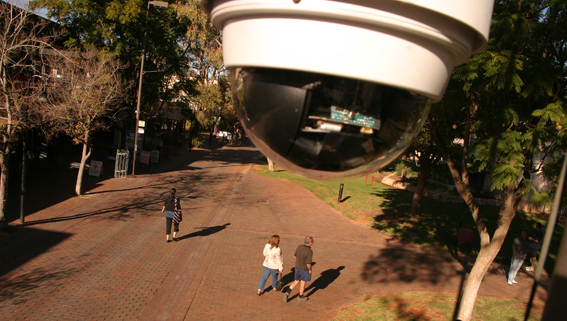 The longer-term picture in Darwin showed a steeper rise in assault, with 51%; a decrease in house break-ins, -33%, but an increase of 19% in commercial and other premises break-ins. Darwin’s murder figure was up by 100%, from 1 to 2. With small categories it is more meaningful to look at the raw figures and the picture is not pretty for Alice. Darwin’s murder figures over the six years look like this: 1, 3, 1, 6, 0, 2, a total of 13. Alice’s are: 9, 2, 5, 3, 2, 6, a total of 27. Opposition Justice spokesman John Elferink, in a media release, says the latest increase in violent crime across the Territory highlights the need for the Labor Government to keep its promise and release the recorded crime figures every three months. He says the Government’s announcement that it will move to annual crime reporting after the release of the June quarter statistics shows the Government does not want its banned drinkers register held up to public scrutiny. The Government boasts it’s tackling crime by introducing the toughest grog laws in the country, but it doesnt want the community to see whether the grog bans have been effective. “This is a devious move by a sneaky Government intent on hiding the true extent of crime in the Territory and the failure of their alcohol restrictions  leading up to next years election,” Mr Elferink says. The significant increase in assaults in Alice Springs, Katherine and Tennant Creek show that the Governments grog bans in those centres havent reduced violent crime. According to Mr Elferink the Government says annual reporting will reduce the impact of seasonal variations on crime statistics. PHOTO: A CCTV camera overlooks the Mall. Competing claims by the Government and Opposition over the previous quarterly release of crime statistics. No matter how you dissect the statistics they still display the same miserable miserable message! That is the complete breakdown of effective Government in the Northern Territory! How long and how far do we let it slide before we call in the Administrators? The Territory Government has, an continues to deal with these issues with a series of “Lets Try this”measures which have succeeded only in exacerbating the deep levels of division, discontent and misery that lie directly behind the Alcohol Abuse and Criminal behaviour in our Town. The continuing impost of experimental in your face restrictions, quite clearly aimed at our Aboriginal Community is the direct root cause of the escalating level of payback crime so evident in the statistics. It is unfortunate that earlier unchallenged, false claims by certain sectors that restrictions on 4ltr cask wine sales were responsible for the decline in the murder rate has led our government on a wild goose chase of similar restrictions in the futile hope of achieving a similar result in other areas of crime. If you take the decline in the murder rate out of the picture and put it down to the fact that police are now actually policing within town camps and communities when previously they were not. You will get an overall different picture from the statistics, and that picture, unfortunately for the NT government and its strident arm of anti alcohol evangelists, is that since the impost of restrictions there has been a massive escalation in crime! Its time that realization was made! Many existing restrictions thrown out, and a move made back to a more people friendly socially inclusive program of living with Alcohol.